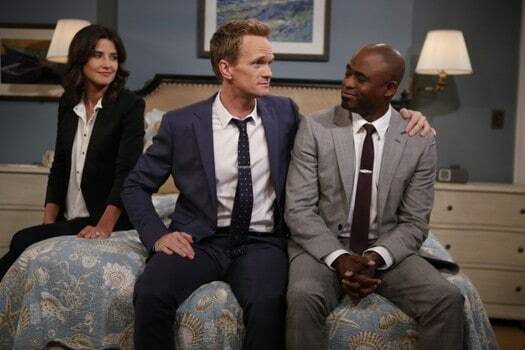 Full disclosure, team: I’m not a lifelong “How I Met Your Mother” fan. I had caught the occasional episode here or there, but it wasn’t until June 2013 that I decided to hunker down and do a full-scale binge watch. I had done pretty big binges before – but never eight seasons of a show in eight weeks. And my, it was a lovely experience. There are, and have been, a lot of great sitcoms. I’m not about to say that HIMYM fills a gap left by shows like Seinfeld, or even the more apt comparison in Friends. But I will say that I wrote HIMYM off as being another lowest-common-denominator CBS cog – and I was wrong. Though at times problematic, it’s intelligent, highbrow comedic storytelling, and that’s basically the beginning and end of what I look for in scripted television. Is it my favorite sitcom of the last 10 years? No (that would be 30 Rock), but it’s not bad. We live in a world with a lot of bad television, so I think it’s important to appreciate the gems, even if they are less than perfect. 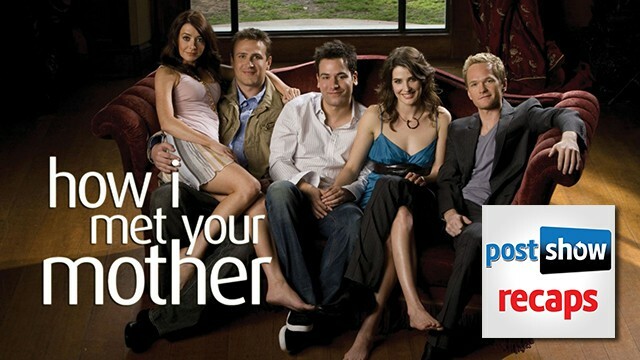 It seems as though binge-watching HIMYM gives one a different perspective on the show as a whole, though. 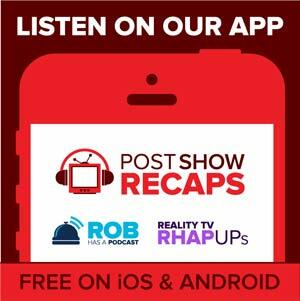 I learned this because I was excited to begin watching season nine on a week-to-week basis – my first mistake. My eight-week character study of Ted and friends suddenly came to a grinding halt when I was treated to isolated 22-minute blocks punctuated by superimposed laugh tracks. What happened to the show that I spent all summer falling in love with? I need to know what the heck is going on with The Mother. It has haunted me – and all of us – since the first episode. Why did I sit through an episode of Marshall explaining how he was mugged by a monkey if not to get a little closer to finding out about The Mother? We’re just three episodes away from what’s supposed to be a fulfilling finale episode. And I’m wary – in all the television that I’ve watched (a lot – and I actually mean that), fulfilling series finales have been few and far between. However, I’ll have faith – creators Carter Bays and Craig Thomas have been pretty forthright telling us that we’re going to be seeing something that they’ve planned from the beginning. So what could the ending to HIMYM possibly be? I’ve outlined five potential conclusions that won’t make me feel like my last nine months – and your last nine years – have gone to complete waste. The Mother dies, everyone is sad. In an interview last week, Cristin Milioti said in very vague terms that this probably isn’t going to happen – even though it was heavily hinted at in the episode “Vesuvius.” However, I choose to believe it completely! It gives Bob Saget’s conversation real stakes. Isn’t there something truly Shakespearean about a whole narrative ultimately ending with tragic death? I love it. The Mother was just being super weird when she discussed her early demise, or is possibly a hypochondriac, but everything else in the world is okay! Teddy Westchester gets his dream life, the kids are pretty much fine with being told a 104 hour story; Mom will pop in offering cookies, and the show ends with the family sitting down to watch a Greta Gerwig film. 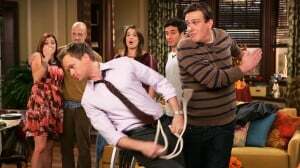 One of the few storylines we have yet to tie up is the famous “slap bet” – Marshall’s eight slaps to be doled out to Barney at his leisure. We’ve been promised a final slap – and what better way to tie up this universe by that slap being the “last slap” in our faces as well? 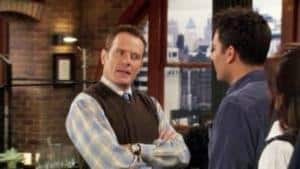 The most real HIMYM moment for me (of course) was when Lily talked about Survivor Guilt – when your significant other has to work late on Wednesday and you watch Survivor without them. With a recent episode of The Millers hinging entirely on a Survivor bit, could we anticipate these last three episodes will at least have some Survivor references? We still have to defend the franchise from NBC, after all. Full House is one of the more unfulfilling series finales – Michelle falls off her horse, gets amnesia, and recovers with no implications. DJ goes to prom with Steve. The Full House finale is a perfectly fine episode of television, but doesn’t have any sense of culmination. I’m picturing Ted and the Mother honeymooning in San Francisco, and during a picnic lunch near the Golden Gate, we pan to see the Tanner family throwing Frisbees and playing with Comet. Ted’s voice morphs into Danny Tanner’s voice, and we all learn a valuable lesson about family and friendship. Is How I Met Your Mother a (had to do it) legendary show? Maybe – maybe not. But it was something new, original and creative – even if we forgot it was from time to time. I’m certainly excited to see how it ends. 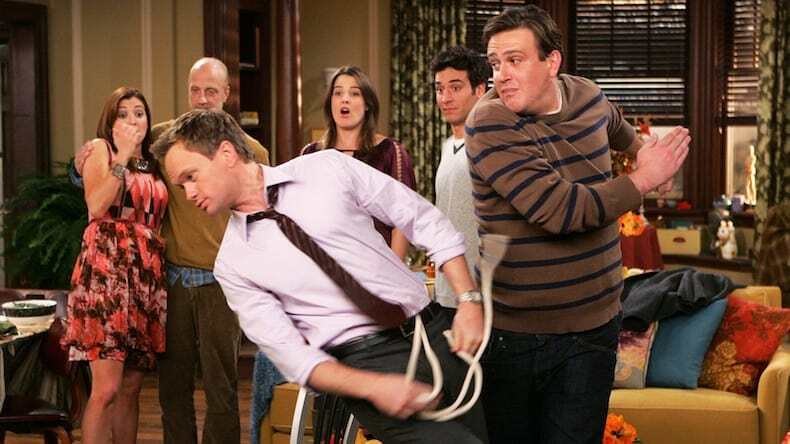 How do you think Ted and friends will fare in the final three episodes? Let’s talk in the comments below or on Twitter @taylorcotter.